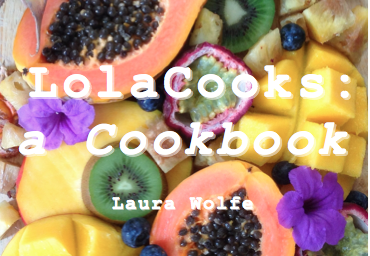 LolaCooks: a Cookbook is a collection of my favorite vegan recipes ranging from desserts, to raw food, to smoothies, to savory recipes. All of the recipes are 100% vegan and plant based. In this cookbook you will find 43 recipes including an ingredient index, 10 banana ice cream sundae recipes, homemade nut butter recipes, baked vegan desserts, raw vegan desserts, smoothie recipes, and 7 savory vegan recipes for lunches or dinners. All of my recipes use simple, wholesome ingredients, are easy to make, and are most importantly - delicious!